My review may be biased; I have published three books on Canadian Army uniforms and insignia myself. I commend Jean Bouchery for his efforts in assembling this book. Much information has not seen print before, and many photos of rare kit are an invaluable resource. However, there are many errors of fact strewn through the book, indicating Bouchery's lack of direct experience with the Canadian military. The colour corrections to Canadian Battledress also render the book, in my opinion, not worth buying. 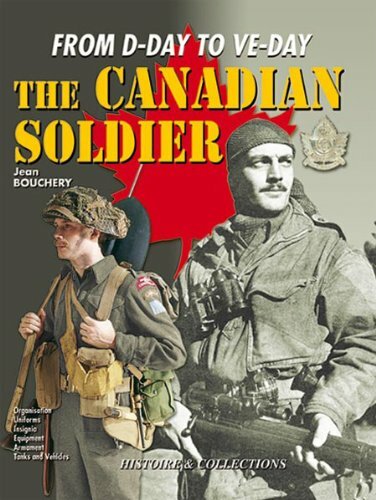 Hopefully a corrected second edition is published - the publisher should really be raked over the coals for this, as the colour plates have been shifted drastically and are useless as even a general guide to Canadian uniform colours. Why print in colour if you are going to simply colour correct things outside the realm of normalcy? Just about every page has a small error, but many are due to translation I think. Recommended for the experienced collector or historian, those just starting out are advised to be wary. Still, much useful information if one can get past the presentation. I recommened buying this used or second-hand, until such time as a correction volume sees print.